The international crude oil price of Indian Basket as computed/published today by Petroleum Planning and Analysis Cell (PPAC) under the Ministry of Petroleum and Natural Gas was US$ 43.63 per barrel (bbl) on 19.07.2016. This was lower than the price of US$ 44.37 per bbl on previous publishing day of 18.07.2016. The Directorate General of Hydrocarbons organized an interactive session at Calgary, Alberta on 18th July 2016 for ‘Discovered Small Fields Bid Round 2016’ to facilitate interactions between the Government of India and Industry Leaders, and to promote investment in the energy sector of India. Many distinguished officials from the Ministry of Petroleum and Natural Gas (MoPNG), Government of India (GoI), top business leaders, and various international and national media houses were present at the session. The interactive session was organized at The Westin, Calgary to showcase and invite prospective bidders for the Discovered Small Fields Bid Round 2016, which was launched on 25th May 2016 in New Delhi, India and was followed up by the subsequent shows at Mumbai and Guwahati in India and recently in Houston, Texas. The Government of India has introduced the Discovered Small Fields Bid Round – 2016, under which it is offering 46 Contract Areas consisting of 67 different small fields across 9 sedimentary basins, estimated to hold over 625 Million Barrels of Oil and Oil Equivalent Gas in-place, spread over 1,500 square kilometres in Onland, Shallow water and Deepwater areas, for extraction and exploration of oil and gas. Bids are being invited by the Directorate General of Hydrocarbons (DGH) to develop and monetize these contract areas. Currently, India is the fastest growing large economy in the world, clocking a GDP of 7.6% in FY 2015-16. Along with the growing economy, the demand for energy has also risen dramatically over the past few years, which is majorly met by imports, and is expected to increase even further in the future. As stated by Mr. K D Tripathi, Secretary, Ministry of Petroleum and Natural Gas, the government aims to reduce energy import dependency by 10%. 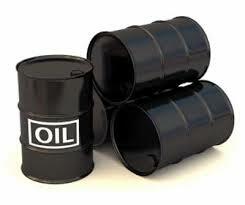 This can be done by tapping on the hydrocarbon resource available and increasing the oil and gas production. Joint Secretary, MoPNG, Mr. Amar Nath, informed that that this is a great opportunity to invest in the E & P sector in India especially considering the new policy regime under which the bid round is being held. Mr. Matthew Machielse, Asst. Deputy Minister, Ministry of Economic Development, Government of Alberta shared message on behalf of Premier, Govt. of Alberta and highlighted that there are significant opportunities for increasing trade between India and Alberta. Mr. Rajib Chander, Counsel General of India in Vancouver highlighted that energy has always been a focus for co-operation between India and Canada and that while, the trade between the two countries has grown over time, there are significant opportunities for furthering the trade relations. The session involved screening a film on Oil and Gas Industry of India, which highlighted the evolution of oil and gas sector and presented key statistics of the sector. Mr. Nilaya Varma, Partner with KPMG in India gave a detailed presentation on Indian economy with a focus on oil and gas sector in India. This was followed up by sharing of experiences by Mr. Stephen Beatty (Partner with KPMG Canada), Mr. Mayank Ashar (Leading oil and gas expert) and Mr. Sastry Karra (Director, Simorgh Energy) on Doing Business in India. Ms. Rachel Calvert from IHS gave a Presentation on Risk Rating of India. She highlighted that India was a very lucrative market in the Oil and Gas space and would continue to have a strong potential with further development. A presentation was given by Mr. Atanu Chakraborty, Director General, DGH to highlight the features of the Discovered Small Field Round along with the details of the contract areas on offer and the bidding timelines. To discuss the Taxation Regime in India, Ms. Neetu Vinayek (Partner, KPMG India) highlighted the specific provisions of the laws relating to income tax, customs duty, cess, royalty and license/lease fees as applicable to activities connected with the extraction or production of petroleum in the upstream sector. Mr. Sengupta from ONGC India informed the participants on the infrastructure and facilities available near the offered fields too. Mr. K.D. Tripathi, as part of his plenary address, informed the most important feature of the bid round that all the fields on offer are already discovered, which mitigates the risks associated in exploration. He highlighted that DGH has set up a facilitation cell to address investor queries. He also informed that he would be available at all times to provide assistance to the investors, especially in cases of difficulties faced by them. In the afternoon, a roundtable conference was conducted with select delegates to discuss and answer key queries on the Discovered Small Field Bid Round 2016. A physical data center, providing access to 2D and 3D seismic data, well logs etc., was launched in the evening by the Secretary, MoPNG. The GoI delegation informed the participants that they look forward to foster harmonious collaborations with the industry to help in taking the E&P reform process forward by facilitating the bidders at every step towards monetization of these discovered small fields. The Minister of State (I/C) for Petroleum & Natural Gas Shri Dharmendra Pradhan informed the Rajya Sabha in a written reply today that the Government is promoting biofuels, such as ethanol and bio-diesel, as substitutes of mineral fuels. The Government, through Oil Marketing Companies (OMCs), is implementing Ethanol Blended Petrol (EBP) Programme under which, OMCs sell ethanol blended petrol with percentage of ethanol upto 10%, depending upon availability of ethanol. Besides, the Government has opened second generation ethanol route (cellulosic and lignocellulosic route) for production of ethanol. Also, Ministry of Petroleum and Natural Gas had announced a Bio-diesel Purchase Policy in October 2005, which became effective from 1.1.2006. On 10.8.2015, the Government has allowed the sale of Bio-diesel (B100) by private manufacturers to bulk consumers like Railways, State Transport Corporations and other bulk consumers. Also, retailing of bio-diesel blended diesel by Oil Marketing Companies has started on World Biofuel Day, i.e., 10th August, 2015. (i) In September, 2015, Ministry of Petroleum and Natural Gas has asked OMCs to target ten per cent blending of ethanol in petrol in as many States as possible. (ii) A Steering Committee has been constituted in Ministry of Petroleum and Natural Gas for regular consultations and monitoring. (iii) Ministry of Petroleum and Natural Gas has been regularly taking up the matter with State Governments to address State specific issues relating to taxation, excise permits, import/export permits, storage license, etc. (iv) A 2G ethanol demonstration plant of 10 Tonnes Per Day (TPD) capacity has been operationalised at Kashipur, Uttarakhand on 22.4.2016. Total savings from the elimination of fake/duplicate/ghost connection as a result of implementation of DBT for the two last years estimated at more than Rs. 21,000 crore. Attention of the Ministry of Petroleum and Natural Gas has been drawn to the news item appearing in the newspaper ‘The Hindu’ today (20th July) under the caption “CAG audit nails Centre’s claim on LPG subsidy saving”. In this regard, it is clarified that an intensive exercise was carried out for identifying duplicate/fake/ghost/inactive domestic LPG connections and, as of 01.04.2015, 3.34 Crore such connections were identified by the Oil Marketing Companies (OMCs). As a result of implementation of DBTL (PAHAL) mechanism, it became possible to block these 3.34 Crore LPG connections as the subsidy was transferred in the accounts of only those consumers who had registered under PAHAL and who have been cleared after de-duplication exercise. Before DBTL, all or many of these 3.34 crore consumers would have continued to purchase subsidized cylinders from the distributors. But for the blocking of these accounts, the subsidy bill would have been much higher despite fall in crude oil prices. For the financial year (FY) 2014-15, for 3.34 crore consumers outside the PAHAL net, the Estimated savings would be 3.34 crore x 12 cylinders x Rs.369.72 (average Subsidy/cylinder for FY 2014-15) equal to Rs.14,818.4 crore. Following a similar principle, the Savings estimated for FY 2015-16 is Rs.6,443 crore and the total for both the years works out to Rs. 21,261 crores. The total consumption of cooking gas in any given year is a combination of the number of connections at the beginning of the year, bogus connections eliminated during the year through the process of DBT under PAHAL, new connections issued to genuine consumers during the year and normal fluctuations in individual consumption. Hence, the saving from implementation of DBT cannot be correctly computed merely by reference to the total consumption in a year or the total expenditure on subsidy. If the DBT had not been implemented, the outgo on the subsidy would have been higher by Rs. 14,818 crore in 2014-15 and Rs. 6,443 crore in 2015-16. Hence the total savings from the elimination of fake/duplicate/ghost connection as a result of implementation of DBT for the two years together, as calculated above, is estimated at more than Rs. 21,000 crore. This figure is not comparable with the actual expenditure on subsidy which includes the subsidy on new genuine connections given during these two years. Without implementation of PAHAL, subsidy burden would have been higher than the actual expenditure recorded during these years, even with lower petroleum prices. Furthermore, it should be noted that concrete evidence of successful elimination of bogus connections is seen in the phenomenal growth of non-subsidized commercial LPG sales which have registered an increase of 39.3% in the period April 2015 to March 2016. This is in contrast to the pre-PAHAL experience when commercial sales growth was negligible or declining.